Korah Halcombe Wills, Mayor of Mackay 1876, 1877. Died: 1896, Brentford, Middlesex, England aged 68 years. Parents: William WILLS and Jane HORN. Marriage: Louisa HUNTER in Dover, Kent, England. Korah Wills was the 11th son of William Wills a basket maker and his wife Jane nee Horn. He married Louisa Hunter prior to emigrating to Australia. 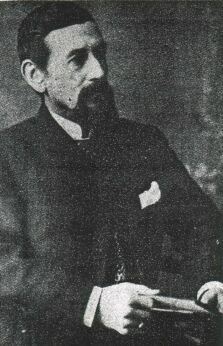 His first child Georgiana was born in Adelaide in 1851. They moved to Victoria shortly afterwards where the 2nd of their 8 children was born. Korah's younger brother Maximilian resided in Victoria during the 1850's/1860's and the two brothers were in partnership for a short time prior to a "falling out" between the two. Korah called at Mackay in 1863 before moving to the new settlement at Port Denison (Bowen) where he was joined by his wife and family. He was a hotel-keeper in Bowen and was publican of the Victoria Hotel, Bowen 1864 and Wills', Bowen 1864-1868 . He was the Mayor of Bowen as well in 1866. He then went to Townsville and was the proprietor of Will's Hotel on the Strand from August 1868 to April 1870. He then came to Mackay and bought the Royal Hotel on the corner of Sydney and Victoria Streets and renamed it Wills' Hotel as well. he was publican from 1870 to 1874 and from 1880 to 1882. He disposed of the hotel in 1882 and it was subsequently destroyed by fire in February 1889. A new Wills' Hotel was built on site and still exists as "Kumara House". His first daughter Georgiana married Henry Brandon whom the township of Brandon near Ayr was named after. The first of Henry and Georgiana Brandon's 14 children was named Korah Charles and was born in Bowen shortly before the Wills family moved to Mackay. Korah Wills was Mayor of Mackay for two terms, 1876 and 1877, the mayor at that time being elected annually. He also purchased several blocks of town land as well as two agricultural blocks situated between the southern bank of the Pioneer River and Landsdowne Road (in the area between Horse and Jockey Road and Hale Street. A considerable orchard was built on this land. Korah , his wife and several of his children returned to England in the 1880's, settling not far outside London. along with other early Mackay identities such as the Rawson brothers, Alfred Hewitt and Harold Finch-Hatton, Korah was an ardent member of the Queensland Club in London that had as its highlight, an annual "Queensland Dinner". He was residing at Shepherd's Well, England in April 1891. He then moved from Dover to reside at Bedford Park, London in November 1893. Prior to his death in England in 1896, Korah made several brief return visits to Australia. Korah Wills' name appears on the headstone of his nephew William Elgar Marsh and of his sister Georgiana Caroline Amelia Marsh. (1982, May 20). The Daily Mercury. Gibson-Wilde, Dorothy & Bruce. (1988) A Pattern of Pubs, Hotels of Townsville 1864-1914, by , Townsville QLD: James Cook University of North Queensland, History Department. p.293. Mackay Family History Society Archives.